Trusted and proven climber training towers for serious climber and rescue training. Deployed in many schools and universities, IBEW, Iron Workers, Iron Workers Union, Xerex Inc, IBEW Local 1, University of Tennessee , American Venture Construction and Parsons to name a few. Solid rod back filled welds designed never to break under training loads. Built tough and designed to take the daily impact of safety training school climbing. 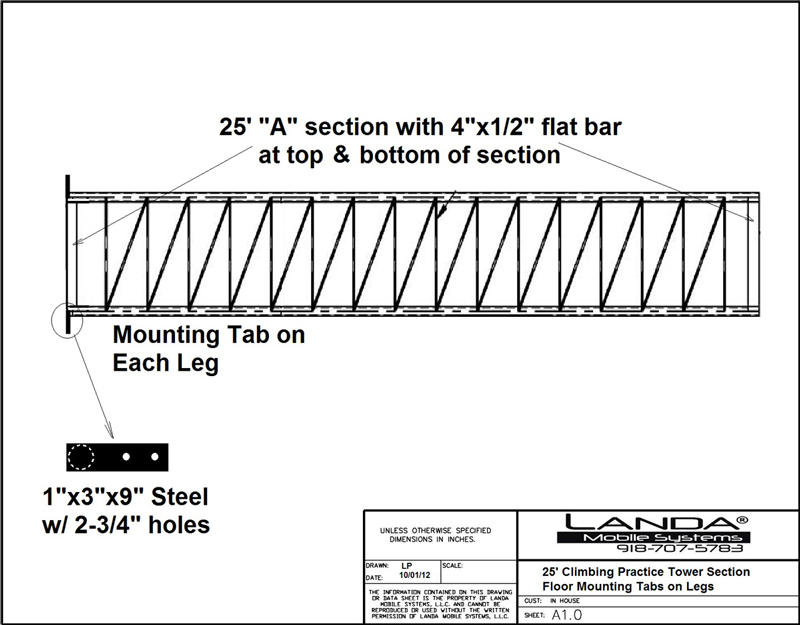 Landa requires all Climber Training Towers to be equipped with safety climb pursuant to OSHA requirements. Climbing Device Step bolts 1′ above the base to the top of the monopole. Mobile Training units available in lattice design and monopoles with various sized decks.